Everyone’s a critic. That old adage is truer now than ever before with the prominence of review sites the Yelp and the sounding-off platforms they provide for consumers who get to play expert reviewer and have their opinions amplified before the world. Suddenly the guy who can’t fry an egg is prattling on about the restaurant you spent 15 years building from scratch. Scary for sure, but what’s truly frightening is the dismissive nature some businesses still have towards Yelp. Yelp is a search engine after all – your future customers might be looking on Yelp right now for your type of business. Will they find you or your optimized competitor’s profile? Yelp profiles often rank high these days for a brand/business name. If someone has heard about your martial arts center and they decide to Google the name, it’s becoming more and more likely that they will find your Yelp profile on the Page 1 of Google search results. Will they see a 5-star rating? There are now so many local-focused businesses using the Blockity DIY website platform that we want to make sure you’re banging Yelp for all it’s worth. We’ll now take you through the finer points of doing Yelp the right way. This part should be an obvious "Step 1" but it’s amazing how many local businesses, medical practices, restaurants and more haven’t claimed their Yelp listing yet. Do a search to see if yours is out there – if you don’t see it at all then you’ll want to jump to the "Add your business" link selection and make a profile from the ground up. Hover over the "Unclaimed" link and then click Claim this business. You’ll then be prompted for an email address and will receive a phone call to verify the company. Once the business is fully verified by Yelp staff you’ll get an email with instructions on where to log in to officially claim your business page. For restaurants: do you take reservations, make deliveries, etc. In this section tactfully include the keywords you want to rank for, but consider adding in strategic long-tail search terms – those search phrases usually entered by a consumer with an intent to take action. Instead of just adding the generic keyword "kitchen cabinets" use more specific (and less competitive) search terms likely to be used by prospective customers such as "kitchen cabinet installers in Greenwich CT". 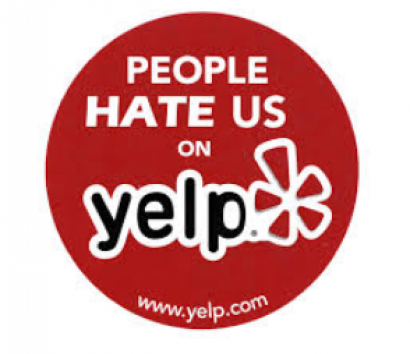 This goes back to our point earlier about Yelp being a search engine – make that work for you! Not as important from a rankings perspective but worth optimizing with content that will help viewers decide they want to buy from you or eat at your location. Use the History section to make a compelling pitch to your audience about why your tool rental business is the right choice for the reader. Hint – talk more about the benefits you provide your customers than actual chronological history. Do people care that you used to be located on 3rd street in 1962? Nope. If you’re in the bathroom remodeling business load up some great images of your finished work – that’s what people relate to. Ever see those enrapturing pictures of a company’s management team going whitewater rafting or playing laser tag? Yeah, don’t do that. No one’s going to say "Oh, these guys look fun! I’ll buy from them!" It’s just a sucky waste of promotional space. What? You haven’t even claimed your Yelp profile but you’ve already got reviews? Yes, that’s how it works – you’re just late to the party. All the more reason to get proactive with this platform. If your business is a restaurant of some variety there are a couple of extra ways to optimize your Yelp profile, such as the ability to "Create a Check-In Offer" for incentivizing guests plus a full suite of Yelp Restaurant Management Tools for taking reservations, handling wait lists, and even open table management! Yelp is very strict about forbidding businesses from asking customers for reviews. Yeah, really. So here we’ll outline the legitimate ways to stay Yelp policy-compliant while growing your reviews, and then we’ll say screw that and tell you how to game the system a bit. Add the Yelp badge with a link to your profile page. Assuming you’re on the most awesome drag and drop website platform available, this is quite easy. Add a text block as well instructing website visitors to "check out our reviews on Yelp" – this saves customers from having to search you out on Yelp. Add a link to your Yelp profile everywhere. Can’t think of posts for social media? 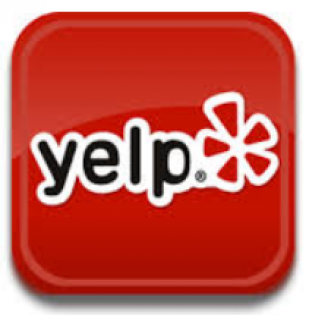 Here’s one for you: Just write something simple like "Hear from our happy customers on Yelp!" with a link and schedule it to post once per week on every social channel you use. It will remind customers who keep forgetting to review you and give them a convenient link to do so. Now let’s wrap this up by going a little black hat. Remember that part about not asking your customers to review you; forget we said that you dirty little rebel. Ask them for reviews. Verbally first, and from people who are obviously pleased with their experience with your company. You want to hit them while they’re still high on your service too – don’t wait 6 months. But NEVER have customers log in from one of your company computers to leave the review. Yelp tracks IP’s and you will get flagged for sure. If reviews aren’t coming in quick enough run small batch, segmented, email blasts asking people how they’d rate their experience with you. Here’s where you get crafty: Give them 2 choices in the email copy: a happy face and a sad face. Link the happy face to your Yelp profile (so pleased customers can leave a review) and link the sad face to an internal contact form where you can follow up with them (rather than let them review you on a non-controlled page like Yelp!). Let’s go just a few more steps down the dark path. When asking for reviews ask customers to include specific keywords (that match the ones we talked about targeting above), like "best MMA gym in San Diego". Get a couple of positive reviews that include your targeted search terms and watch your Yelp rankings climb to the top!